Hey Guys how have you been, i think every thing fine. 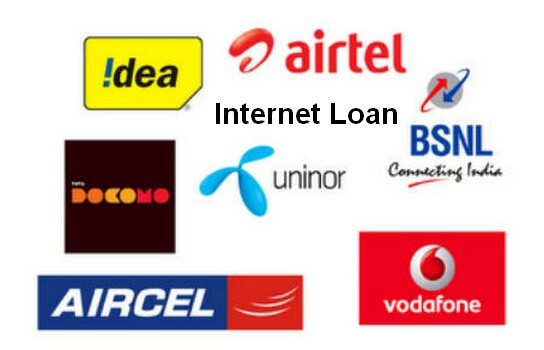 Today i am going to discuss about How to Take Internet Loan in All Networks like AirTel,Aircel, Tata Docomo, Vodafone, Idea and Reliance. Telecom service providers in India are trying to give their customer more and more services with lower and affordable cost. So that you can use the low balance services from all networks. Now you don’t need to depend on others in case of emergencies, the loan services from various operators help to to generate balance immediately in our phones, which is repaid by you the next day with an interest of 1-2 Rs depending on the operator and loan amount, some operators give a fixed amount as loan, while others give us the freedom to choose the amount as per the choices. There is a process to advance balance for various networks are listed below, locate your network and follow the instructions in order to avail the loan service. Also Check: Unlimited Free calling trick, Download Internet Settings for all networks. Ussd code to check Internet Balance in any network. And how to carry forward unused data to next month. And Download APN settings for all networks. Now like balance loan , you can take internet loan also in all network. They will give you some MBs of loan, which you have to repay in the form of amount. Like in Airtel it’s 12 Rs for 65 mb but they charge you 15 Rs , this is loan fee. So similarly you can take data mb loan in all networks in India. Also Check : Mobile Balance Transfer USSD Codes. The time would be changed nowadays AirTel is giving Emergency data to customers. This Facility is very useful when you desperately need internet on your phone but you do not have any way to top up your number with internet packs. And this guide is all about using that service that is using data loan service. This service is available for those AirTel subscribers whose Airtel connection are older than 3 months. It should be no previous pending loan on your Airtel number. Your Airtel account balance should be below Rs.5. You must be using a prepaid Airtel connection. The time You will be getting 2G internet loan in Airtel of 65MB which will cost Rs.12 but Airtel will deduct Rs.15 after 48 hours of loan traction. In Airtel to take 2G data loan we need to call to a phone number and select internet loan via IVR menu. Airtel 2G internet loan phone number is 52141. Open dial-er of your phone. Dial 52141 and tap on call. After you call will be connected you will asked to dial 1 for talk time loan and 2 for 2G internet loan in Airtel. Dial 2 and you are done, 65 MB of data balance will be credited to your account. 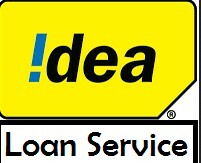 The data loan which we are going to take in idea is a “idea 2G internet loan” and not 3G data loan. There is no telecom company in India out there who provide 3G data loan right now (on 9th March 2015)but i think it will be next launch of service in India when 4G network will be available all over our country. 4G network is available in some huge cities like Delhi, Mumbai etc. This service is available for those Idea subscribers whose Idea connection are older than 3 months. It should be no previous loan pending on your idea number. You must be using idea prepaid SIM card. Your balance should be less then Rs.2. Just dial *666# which is idea internet loan USSD code. After dialing the USSD code just press call button. And you have done the process, you will be provided with 2G internet loan of 30 MB with 2 days validity. After two days you should pay idea cellular Rs.6. The time has been changed. now Aircel internet for just 24 Rs per month, enjoy free Wikipedia and Free/Cheap 3G internet with 3G mornings plan, now you can enjoy everything at the same level by paying less. The offers will definitely help you in saving a lot money and also ensure that you remain aware regarding all the promotional offers going on for the aircel network. Get Free Minutes on data Recharge: Aircel is offering its customers free Minutes on internet pack recharge, this offer is available for all the circles, you just need to recharge with the respective data pack on your aircel number and get free local/national calling minutes, free calling minutes will remain valid for a period of 28 days. AP-248 Rs=Unlimited aircel to aircel calling+30,000 L/N Seconds and 1gb 3G data. Punjab-255 Rs=1 gb 3G data+30,000 L/N seconds. Enjoy free face book browsing on your aircel mobile,just dial the ussd code *121*999# and call the offer will get activated,you can avail this offer only once,those who already availed it cannot use it again,once you dial the number a confirmation message will clear the activation success. Aircel has recently introduced a new free service for its users ”My first internet” This has been introduced to increase the number of internet users, here users can find information about internet, Get knowledge and download links for various apps, categorized under various sections,this will help users know what there smart phone can do for them, to access this service just dial *121*0# From your aircel mobile. Aircel is offering free Wikipedia for all its users, just use an internet enabled phone and goto Wikipedia.com and browse Wikipedia without any data charges, this offer is valid only for Aircel prepaid users, and applicable only within the validity of voucher subscribed by the user. Browse pocket internet on your Aircel mobile for just 24 Rs per month, the offer is available for all the circles at different rates, in order to view the offer just send an sms type PI and send it to 121 or click here, Now use email, Facebook, Twitter and surfing at unbelievable prices,exclusively for Aircel users, Browse internet for less than 1 Rs per day. There are so many amazing offers for Tata Docomo users,Browse internet unlimited on opera mini ,for hours,and download free videos,images and other stuffs without paying anything ,all the offers are meant only for the Tata Docomo users, these offer will definitely try their best to save your money and full fill all your needs at their best,so don’t wait, just bring up your docomo phone and get ready to practice these offers,Some of the offer may be limited to circles and may not work for all. Tata docomo seeks to balance the amount of data and minutes as per the usage required with flex combo packs,these packs let you choose you own plan based on the usage,you need to drag the slider,you need to choose whether internet use is greater than talk time,less than talk time or equal to the talk time,select the plan and recharge on the spot. Get Recharge/Plans/Top up suggestions based on your usage rate from Tata docomo,Docomo Best plan finder will help you keep your Phone recharged with fully optimized and best plan suiting your needs,to avail this offer just head to the landing page and input your Mobile number,get the best plans,recharge and enjoy. Browse internet for free using web pass on Docomo ,to activate this just goto webpass.opera.com, from opera mini browser and docomo sim,you will see a window as follows,You can see ,as a promotional offer Tata docomo &opera are offering 1 hour free browsing for just 5 Rs instead of 30,to activate a pass just click on buy and proceed.This pass will provide you unlimited browsing and downloading with a file size limit of 15 mb for downloads,Each web pass has a data transfer limit specified during purchase,this doesn’t include music or video streaming,browsing only applicable with opera mini browser. Download contents Absolutely free From Tata Docomo Freezone ,Powered by hungama,to avail this offer just dial *141# from your Docomo mobile,And click on the Free zone option,you will receive a link in few seconds,click on that link(open with default browser),choose the content you wish to download,you can download 5 content from any category free,categories include images,games,music,videos,and many more,to download them just select one and click on it,the download will start. There is a good news for Vodafone customers yes, you heard right Vodafone Launched Zero Balance Internet Service. It means that you can connect to Internet without balance. Vodafone has named it as Data credit service. This service provides facility you will 20 MB 3g data with one 1 validity when you are out of balance. This service has great value during emergencies when your balance is zero and you want to use internet. For activating this service you need to send CREDIT’ to 144. You will be get 20 MB 3g data will be credited with 1 day validity. Use this Vodafone 3G Balance USSD code to check 3G internet balance. For activating this service Rs 7 will be deducted from main balance after 48 hours. Condition is same here that your balance must be low for using this service. Did you know you can also carry forward Vodafone Unused data. And also check my Vodafone Free Internet trick. And code to transfer Vodafone Talktime and All Vodafone USSD codes. Here is the latest Vodafone free recharge trick. I think it’s good to know about particular network Procedure. I hope you like the above post for How to Take Internet Loan in Airtel, Aircel, Idea, Vodafone, Bsnl, Tata Docomo, Reliance etc. Now take free data mb loan and enjoy internet services.